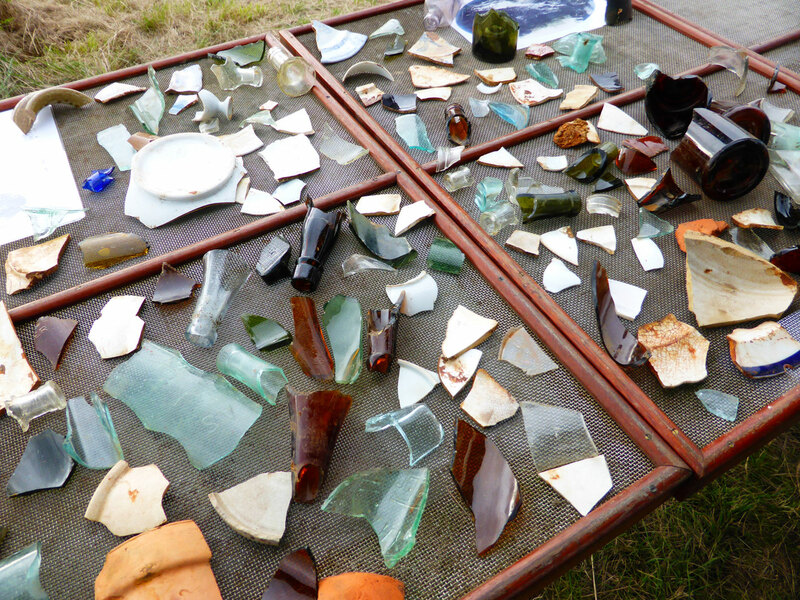 Artefacts uncovered during an archeological excavation at Thomas Mill, nestled in the Plenty Gorge Park, are now on display at the City of Whittlesea offices in South Morang. The Plenty River flour mills played a central role supplying Melbourne in the gold rush years. The mill, founded by local entrepreneur Moses Thomas, was the largest of them all – even though it only operated for eight years from from 1855 to 1863 on the Plenty River, just south of Bridge Inn Road in Mernda. Archaeologists from Heritage Victoria unearthed ruins and artefacts that tell the story of the mill, and the people who lived there. The rich and diverse history of life along the Plenty River is also demonstrated by the discovery of Aboriginal stone tools. The project was sponsored by the Heritage Council of Victoria and is a partnership with Parks Victoria, the Wurundjeri community and the City of Whittlesea. Top right: Artefacts uncovered include parts of pots, glass, bottles, china and slate pencils. Other parts of the excavation site revealed metal remains from the mill and Aboriginal tools.